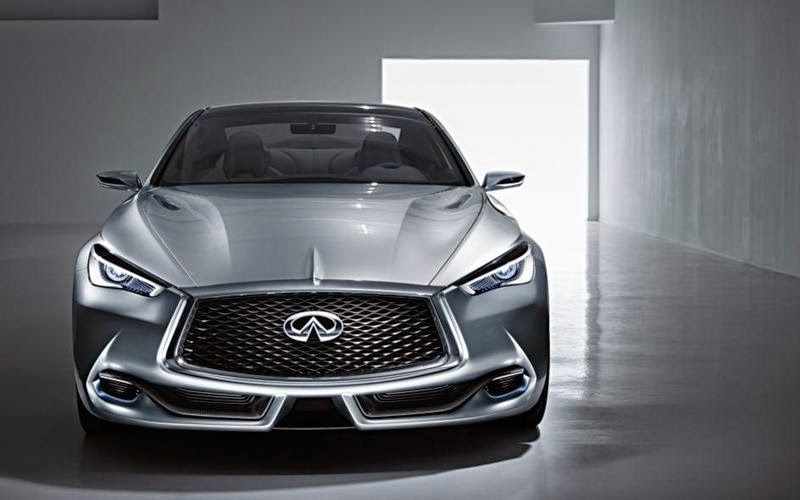 At Detroit, the Infiniti anticipates the lines of your future coupe 2+2 high performance: the Infiniti Q60, rated as "the most emotional and achievable concept car brand," says the vice president of the luxury division of Nissan, Francois Bencon . 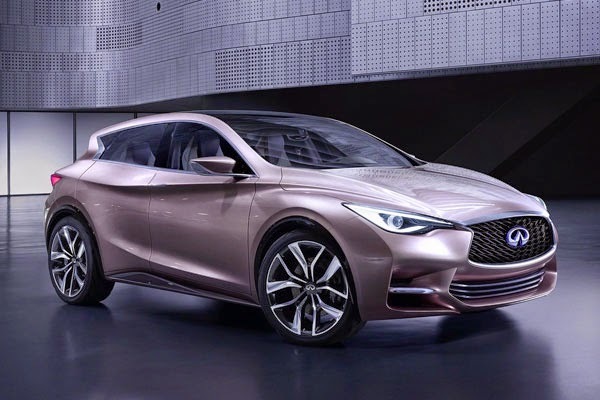 The Infiniti reinforced the intention to produce it next year, after the model series based on the Q30 (revealed last IAA), which has yet to arrive in 2015. 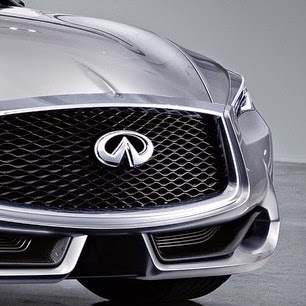 With dimensions close to the sedan Q50 - 4.69 meters long, 1.86 m wide and 1.37 meters tall - the Q60 Concept brings creases "muscular" throughout the body, rims 21" and forms give the impression of speed, such as mirrors, the layout of the side windows and the air vents of the fenders. 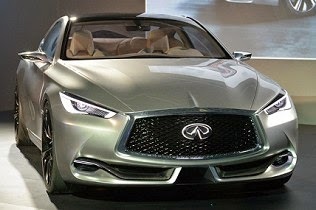 Certainly some stylistic elements will not be in production model (including illuminated Infiniti logo). 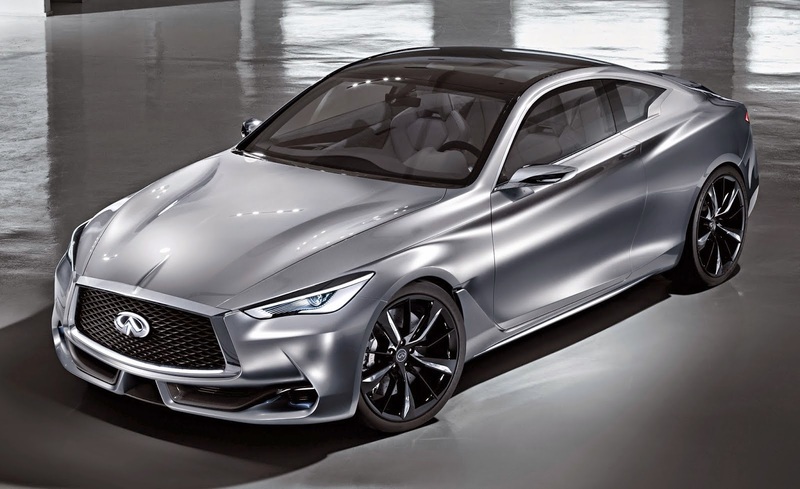 The section brightest stand Infiniti Q60 is obviously reserved for the prototype, from the driver's 2+2 coupe and launched in anticipation of the sport that the Japanese company will introduce in 2016. It will be positioned in the D segment, challenging opponents of German accent . And ' long 4690 mm ​, width 1865 mm and height measurement is reached the meter and 37 centimeters. 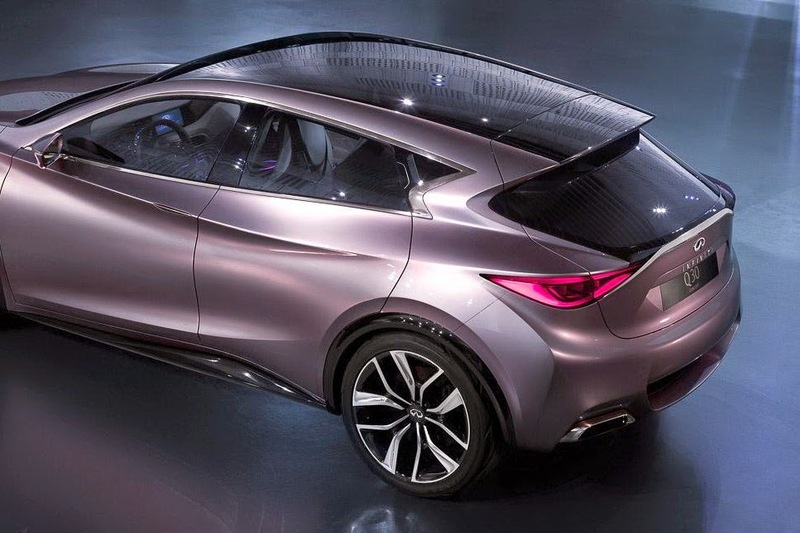 Rests on 21-inch alloy wheels and denotes a new approach of the cornerstones of its stylistic brand : inspired by Q80 Inspiration, and the edges of the car body -as communicated by Infiniti - recall a Formula 1 car. Under the hood is a V6 petrol engine with architecture, 3-liter, twin-turbo and direct injection. Part of the new family unit, expected to be available within two years, and developed with the aim of combining performance, efficiency and lightness. 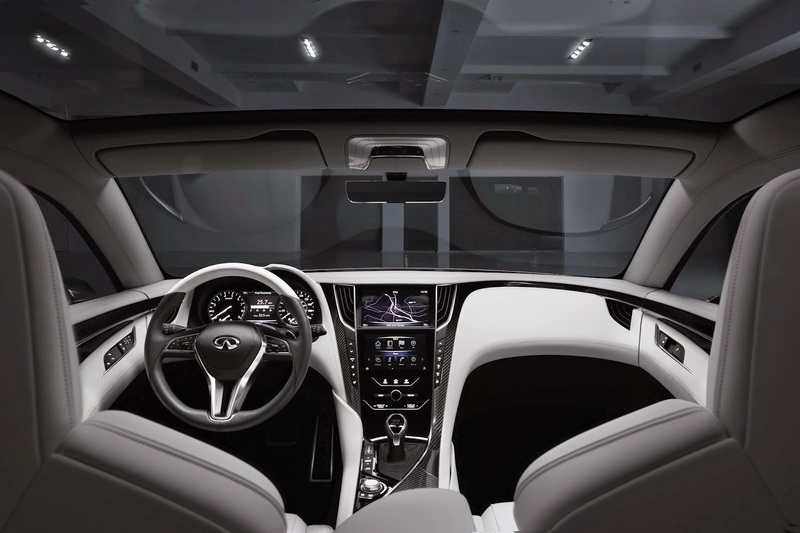 On the Infiniti Q60 is also the Direct Adaptive Steering, system drive- by-wire that moves the wheels more quickly than traditional mechanical control The user - machine interface is assigned to the system InTuition. 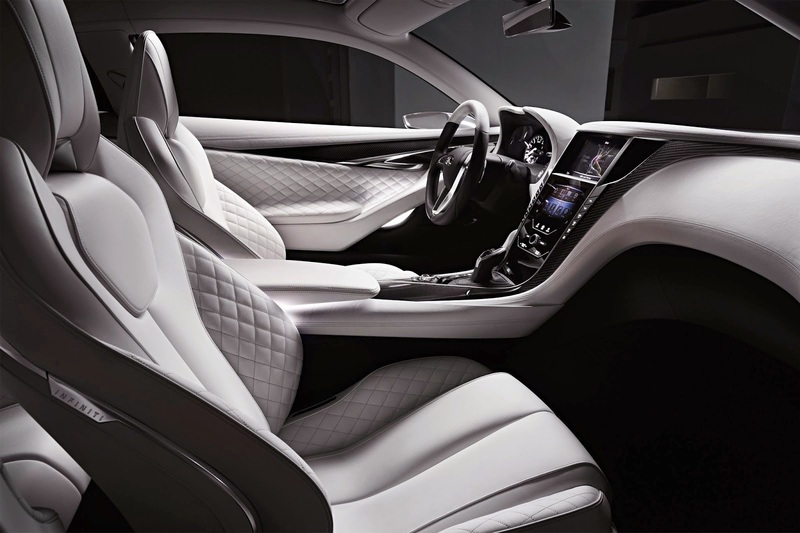 Inside, the Q60 looks more like a luxury car series than a futuristic concept: some panel features are common to the Q50, but the concept boasts new steering wheel, three-dimensional digital instrument panel and leather with stitching handmade. 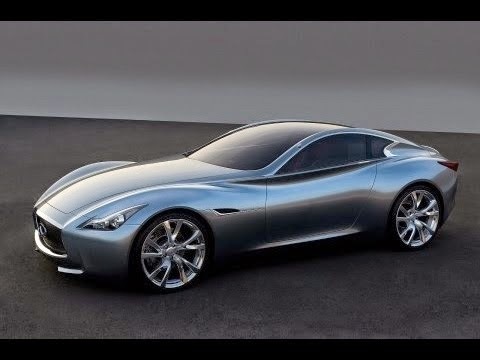 The Infiniti reveals that the coupe will have engine 3.0 V6 Twin -Turbo with direct fuel injection.